Today I want to share with you a Lego Table my sister and her husband built for their 3 boys all of whom are HUGE Lego fans. They seriously spend hours playing with and building amazing lego creations. So…they have a lot of Legos. My sister was tired of the Legos being scattered everywhere and underfoot. Ever step on a stray Lego? Yeah…me too! So you can understand her dilemna. So my sister and brother-in-law purchased an activity table from Pottery Barn that had a lip (wood strip) around the top of the table. But any table could really work for this. Even if it doesn’t have a lip around the top. What is the purpose of the lip you ask? Well, I will explain that here shortly. After you have your table, you can add a top lip using quarter rail or flat moulding that you can find at your local Hardware store. Cut the strips to fit on all four sides of the table and cut the ends so that they are cut on a 45 degree angle and fit together snugly in the corners. Then glue with wood glue or use small finishing nails to attach the wood strips to the top of the table. After the glue has dried you will want to putty (or use painter’s caulk if painting) the seams along the edges of the quarter rail. Then either stain or paint them to match your table. Then they had a piece of plexiglass cut so that it fit perfectly on the table and in between the lip of the table. The lip will prevent the plexiglass from slipping around the table top. Very important so your child’s lego creations don’t get knocked to the ground. That usually causes some major trauma…not that I would know :)! Then they took some 12 x 12 lego base plates and glued them right onto the plexiglass. *But before you glue, be sure to place Legos onto the bases where they connect to one another. If you glue them with the plates right next to one another, the legos will not connect to the base around the edges of each separate place correctly. Does that make sense? And that’s it! Pretty amazing huh?! My sister also has some storage organizers to help keep some of the important Lego pieces organized so the kids can find them. I can’t imagine how she keeps them so organized…but she inherited a bit of the same OCD that I have. And, if you noticed, they have a wooden bin under the table that holds all the other Lego bricks. And I am sure you couldn’t help but notice the awesome Camoflauge wall. Yep, she painted it that way with the help of her sister-in-law. She got the idea from a pair of her son’s camoflauge pajama pants that she really liked. She simply took the pants into the hardware store and they were able to match three of the colors and mix her up some paint. Then using the pants as their pattern guide, they drew the odd shaped patterns onto the wall using pencil. Then they labeled each paint with a numbers, 1,2 and 3. Each shape was given a number so they would know what paint color to fill it in with. Then using small brushes they outlined each shape in the proper color and then filled them in with larger paint brushes! All paint colors are Ralph Lauren brand. Main background color: English Tan Camo-spot colors: Kauai Jungle, Neutral Brown, Prince, and Artist Brown. Isn’t that so fun? Her boys love their room! Can’t say as I blame them! 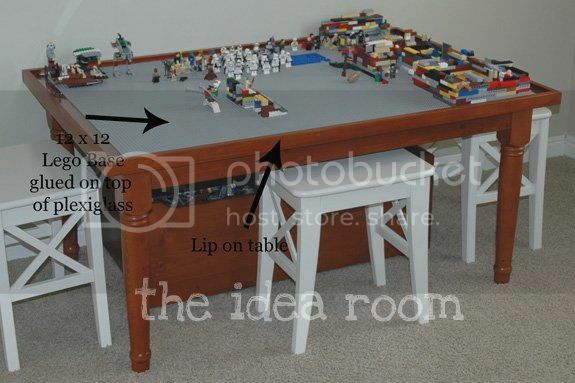 Check out more Lego Table Ideas here…. WOW! 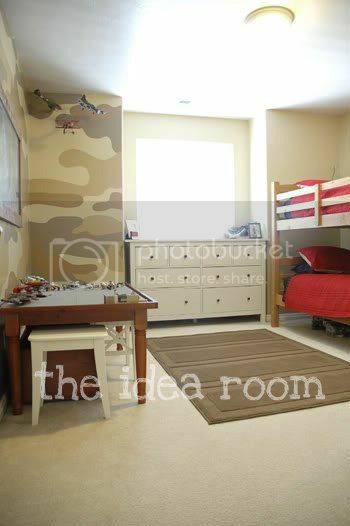 That is one super cool boys' room! 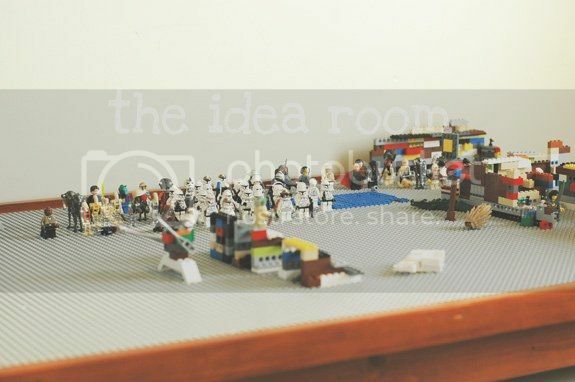 Thanks for sharing this Lego table with us! We've often thought of buying one for our 8-year-old who loves playing with his Legos, but the play tables are so expensive. He's got a birthday coming up, so I think we might just have to make one! 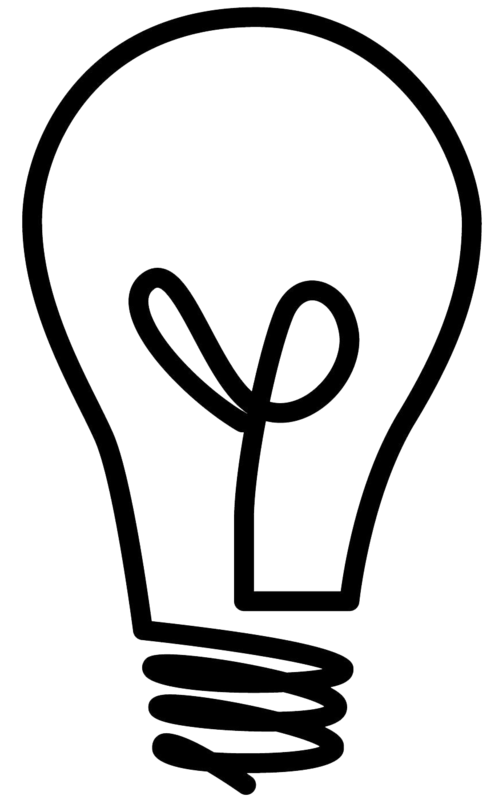 Keep the great ideas coming! GENIUS!!! We totally need one of those. Wowza!! I LOVE it!! I gotta find a good deal on a table first. Thanks for sharing. I'm going to be keeping my eye out for a great deal on a table! What a GREAT idea!!! The camo wall is outstanding! 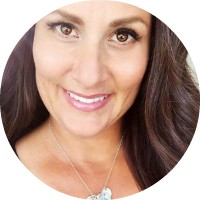 I just found you through my blog partner, Heather. Excited to hear our little blog will be featured here for a few weeks. Super cool!! Where did you get the stools? That camo wall is just awesome! I love it. And not hard to do. Maybe I need another boy. Brilliant! 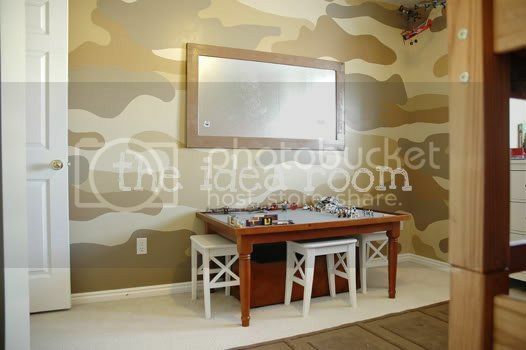 My boys would LOVE that…and the camo walls too! 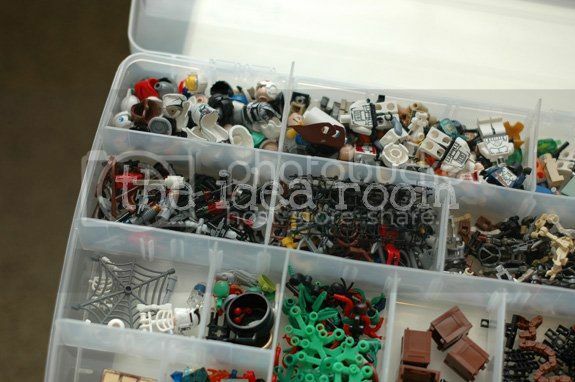 How on earth does she keep their legos so organized!? That is an awesome table! My son is only 2, so I haven't allowed the small legos yet. But I have still stepped on the larges ones in the dark and those hurt just as bad! amazing! You are a genius! Especially the way to keep them sorted! Thanks for sharing. 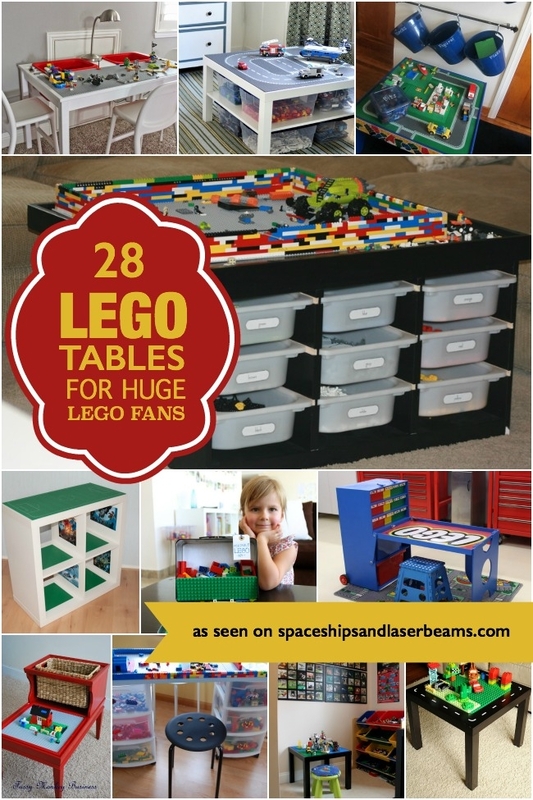 Here's info on another great Lego table at My Paper Crane. She glued the lego bases directly on a $5 coffee table! @Kat–Glad I could help. Those tables are quite pricey. @Kate–I was pretty impressed with it too. @Danielle & Sharon–I have been keeping my eyes open for one two. @LuckyStarErin–Yay! So glad to have you on the site for a couple of weeks. I love finding fun new blogs. AmyKP–My sister got the stools at IKEA. @Randi–Pretty easy and fun huh? @Candace–I think her boys are pretty good about keeping them organized so they can find what they need. It's the little sister they need to keep it away from. @Feeling Creative–pretty fun yet classy at the same time huh? 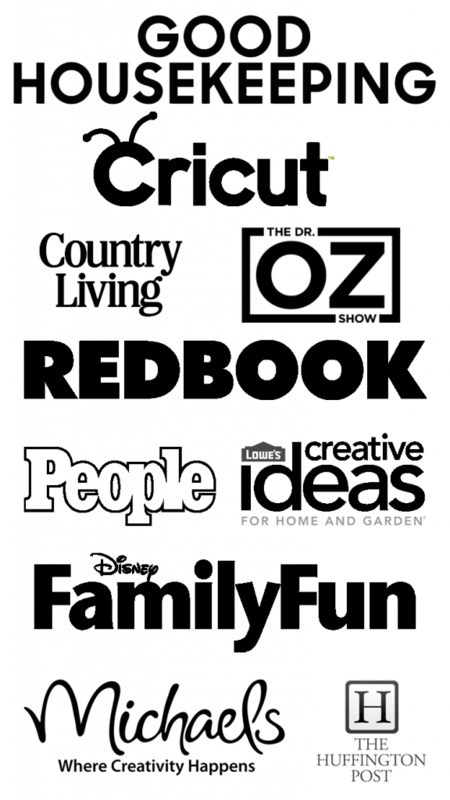 @Tharvey–Thanks for the link. Always good to see a variety of ways to do things to customize it to your own preferences! Hello, I think your idea with the table and camo are great. Thanks for posting this wonderful diy, the table looks great btw! how long did it take for you to create the table? Great table. Made one very similar for my grandson. Used a old coffee table that needed some TLC.